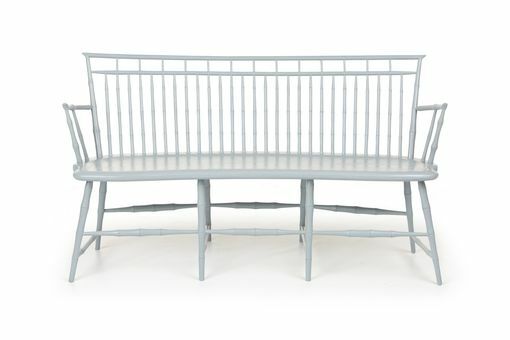 This rod-back birdcage Windsor settee features Asian influenced bamboo style turnings. 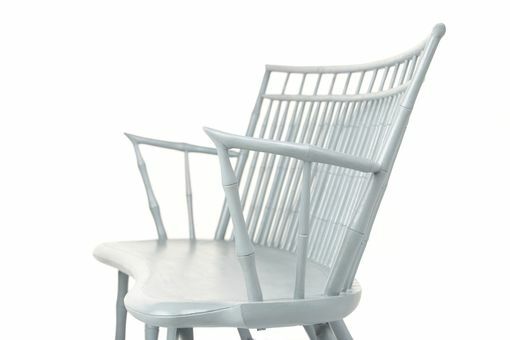 The stylish, early 18th century design incorporates a rare curved seat with back, arms, and medial stretchers also curved to match. 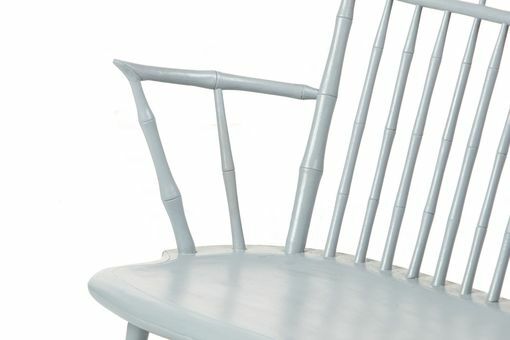 The top corners are hand carved just like their 19th century counterparts to resemble a mitered or "duckbill" bamboo joint, as a result, this style of Windsor is sometimes referred to as a "duckbill" Windsor. Every Windsor we make begins with locally milled green lumber. Each seat is hand-carved from Eastern White Pine. We do all of my turnings by hand on a lathe out of maple or black birch. Every spindle is rived (split) from the log and shaved on a shave horse to ensure the grain is left unbroken from end to end. This traditional process is repeated on the settee's back before steaming and bending. The legs are set using a traditional tapered lock joint, which increases the stability. Finally everything is wedged, hand sanded and finished with your choice of colored lacquer or milk paint. Shown here in traditional slate blue milk paint.